Work — Nicholas E. Ortiz, LL.M. The legal profession is defined by its attachment to titles (sometimes steadfastly so). A title in this field, to a certain extent, tells a story about the level of expertise you hold, where you come from and, importantly, what you are permitted to do. I am an independent Jurist and Legal Advisor who specialises in legal research, analysis, and commentary pertaining to public international law issues. I offer my skills in legal drafting, analysis and advice on public international law to organisations who are developing projects which involve issues in the aforesaid field. I work using the 'turn-key' methodology, meaning that I offer my services as part of a package, such as the completion of legal reports, memorandums, guidelines or commentary for a particular project, for a negotiated price. Projects which require more specific fine-tuning can be developed at the request of a client but may be subject to different prices. Before the start of any working relationship I offer a pro bono consultation session where we can discuss the nature of the potential project, and where I can outline the work I can contribute to your institution. Naturally, I offer the highest level of professionalism and confidentiality from start to finish. I also offer a Non-disclosure Agreement starting at the pro bono consultation stage. As a caveat, I should say that certain titles are protected and regulated by law, meaning that they are only permitted to be used by individuals who have passed the necessary qualifications to use them, such as the term 'lawyer' or its national equivalent. I do not claim to be, nor am, a qualified Lawyer or Advocaat. Attorney at Law in the U.S., Advocaat in the Netherlands, Barrister or Solicitor in U.K., Abogado in Ecuador, all permit the holder to practice law before a domestic jurisdiction. Someone who does not hold this title is not permitted to practice before a court of law. The legal profession, especially the international legal profession, is not only limited to lawyers. 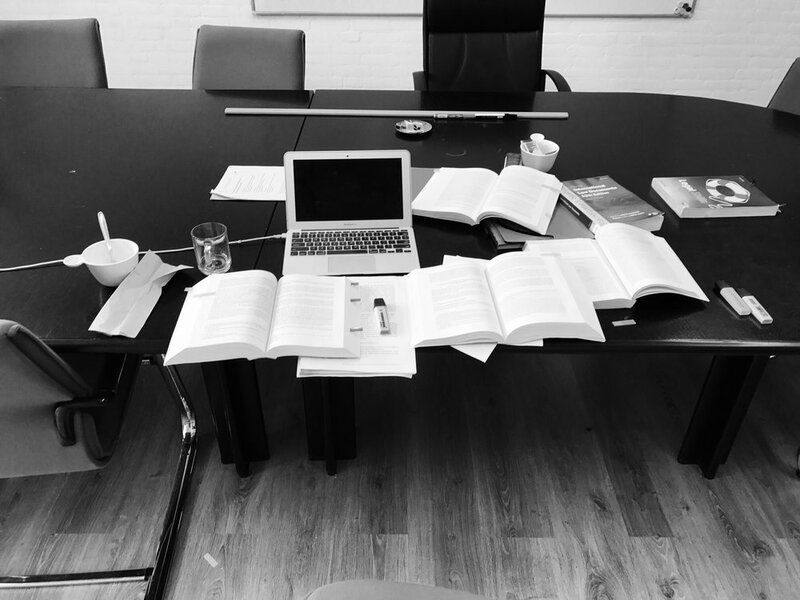 There are other legal practitioners who have chosen not qualify to practice before a particular jurisdiction, but have rather chosen to focus on other areas of the profession, such as legal consultancy, research, and academia. A Jurist is a legal professional who researches, analyses and comments on the law. They also gives legal advice on their specialist area of the law. This individual need not necessarily practice in a domestic jurisdiction. To set up a meeting please contact me via the contact form below. I am based in The Hague, the Netherlands, meaning I am available to meet around The Hague or any surrounding city. Should you be based in another country, Skype meetings are possible. The initial meeting is free of charge, and will usually consist a discussion of what is sought, what I can contribute to your project, resulting in a quote for prospective services shortly thereafter. *In your email please include, to the best of your ability, a brief summary of your project, how it interjects with an area of public international law, and any other relevant details.